As in many parts of the country, remote McDowell County in West Virginia is having a hard time finding and keeping teachers. Vacancies are often filled by substitutes unqualified for the roles they must assume, and the isolated location deters many new hires. That's not unusual in McDowell County, West Virginia, where Cierra lives. The school district has such a hard time recruiting math teachers that Cierra had a string of substitutes in ninth and 10th grade, too. "I don't know any math," she said. "You can hand me, like, a freshman-year math and I'm like, 'Um, no, I don't know, I'm sorry.'" McDowell County used to have a lot more teachers — and a lot more people — when coal mining employed 65 percent of the working population. Now, people are leaving, businesses are closing and the McDowell County Schools can't find or keep the teachers they need. Between 2013 and 2016, the schools hired 137 teachers. In that same period, they lost 163. The school system only employs about 275 teachers. When a teaching position is vacant, it's filled by a substitute, typically someone who's not certified to teach in that subject area. A social studies teacher could be teaching math, for example. Close to one in five teaching positions were filled by substitute or uncertified teachers in the 2016-17 school year, a high percentage for any school district. "We are putting many teachers in our classrooms that are quality people, but they're not certified in that particular content area," said Nelson Spencer, superintendent of McDowell County Schools. "We're not doing our students justice when we don't have qualified teachers." The school system was having such a hard time finding foreign language teachers that it stopped trying to recruit them. Today, students take foreign language online. The hardest positions to fill include science, special education and math. 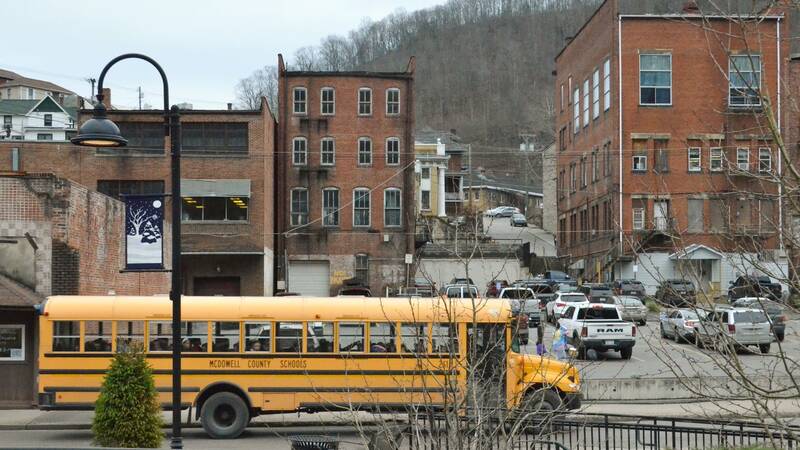 What's happening in McDowell County is happening in many rural school districts across the country, though the shortage is playing out most powerfully in poor areas. These school districts struggle even more to attract qualified teachers because of geographic, social and economic isolation. The number of teacher vacancies in West Virginia more than doubled between 2013 and 2017. McDowell County is one of the school systems being hit the hardest. Moreover, there's a nationwide teacher shortage. A report by the Learning Policy Institute found that enrollment in teacher preparation programs fell 35 percent between 2009 and 2014, a decrease of close to 240,000 potential teachers. School districts like McDowell are among the first to feel it when there's an overall shortage of teachers. Students know they're falling behind. "When I get to college, I've got to take college math," Cierra said. "But how am I supposed to do that if I don't know basics?" Only 17 percent of students in McDowell County score proficient on state math tests, compared to 30 percent statewide. Only 8 percent are considered "college ready" in English, math, social studies and science based on their ACT scores. Of course, many variables affect how a student performs in school, but Spencer believes a lack of qualified teachers is a big part of the problem. 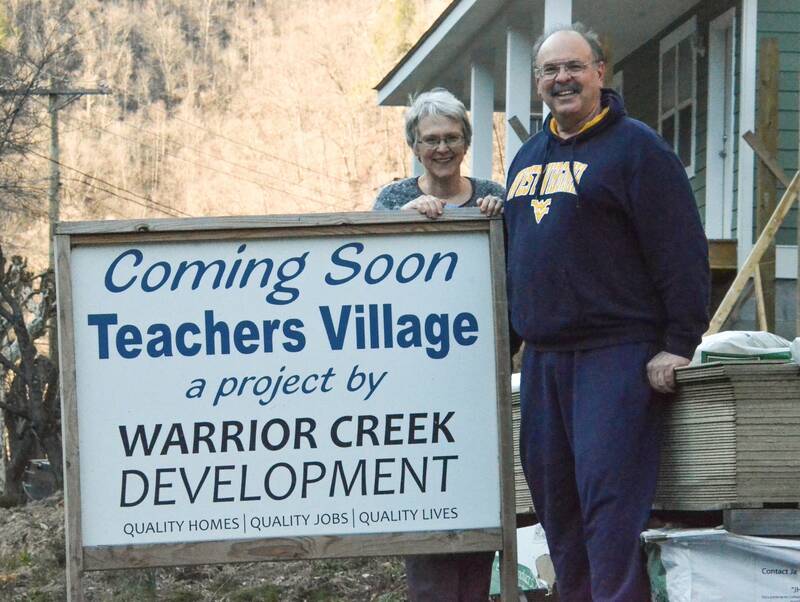 When Ann Turley applied for a teaching job in McDowell County, the district snapped her up. "They were so desperate here, I was taken sight unseen," she said. Turley teaches elementary school music. She divides her time among three schools, a modern-day circuit rider delivering music education the way itinerant clergy once saved souls. She drives along Route 52, a winding two-lane that is the only road in and out of McDowell County. Some days Turley's route takes her by Stevens Correctional Facility, a former hospital where she was once a candy striper. Other days she drives through an intersection with the county's only traffic light. Before she took the job in July 2016, Turley's position had been filled by a long-term sub who wasn't certified to teach music or any other subject. All that's needed to be a sub is a couple days of training and a bachelor's degree. But even substitutes are hard to find here. 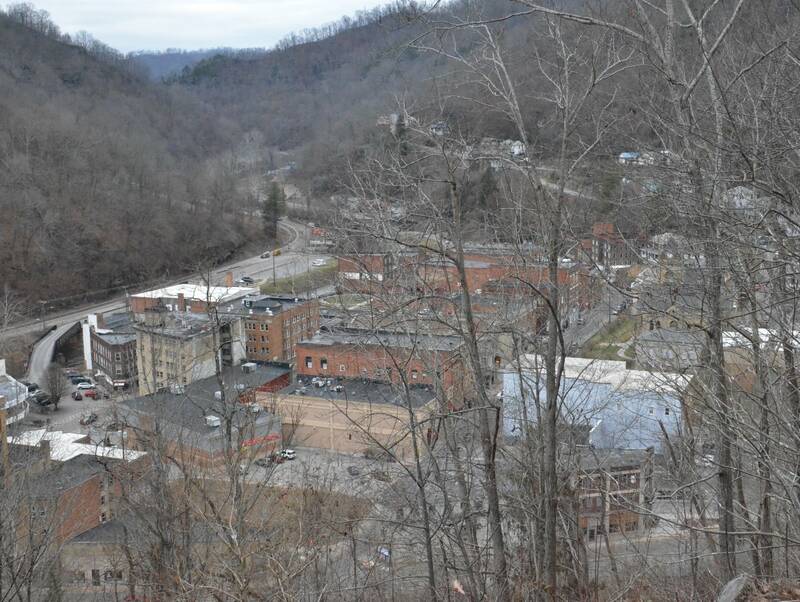 Only 5 percent of people in McDowell County have a bachelor's degree, among the lowest in the nation. "We need substitutes like a boat with a hole in it needs a cork," said Anne Marie Gentry-Vance, a history teacher at Mount View High School in McDowell County. When there is no sub to be found, students are sent to another teacher's classroom. Debbie Krabbe, a special education teacher at Mount View, told me she once had 60 kids in her classroom for more than a month. Most buildings downtown are empty, their windows dusty. To get to a major store, you have to drive more than 30 miles on the winding two-lane road. It might take an hour, more if you get stuck behind a coal truck. I visited Turley's first grade music class at Welch Elementary school in January. When I arrived, Turley's students were learning about the Italian musical term "fine," which means the end of a piece of music. They were walking in a circle, tossing balloons up and down to keep count with music, then catching the balloons and standing still when the music ended. "Fine!" Turley yelled above the kids' giggles. There were 18 students in the class including a little redhead wearing a tie. It was his first day of school. His parents moved to West Virginia from Mississippi as part of a mission group trying to help McDowell County. McDowell County is in the poorest part of West Virginia. It ranks second in the nation for prescription drug overdose deaths and has one of the lowest life expectancies of any county in the United States. Nearly 90 percent of the people here are white, and the poverty rate is twice as high as the rest of the state. According to the American Federation of Teachers, 46 percent of students in McDowell County Schools live with someone other than a biological parent. "I feel very ill-equipped to meet their needs," said Turley. "I feel like I need to be a counselor or a social worker or somebody with more crisis intervention skills." That morning, the father of one of her fourth graders died after being shot in a drug-related incident, according to police. Krabbe has lived and taught all over because her husband was in the military. "I kept thinking the inner-city is where my calling was," she said. 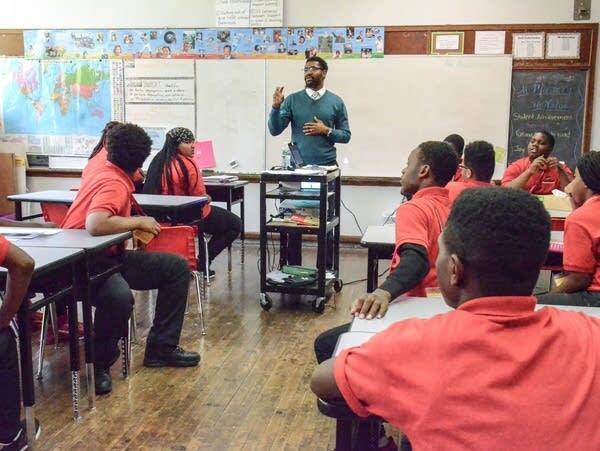 "What I have found is that rural children and inner-city children have so much in common." McDowell is the southernmost county in West Virginia. The Appalachian Mountains define the landscape, with steep and winding roads that give way to wooded hollows. About 20,000 people live in the county. 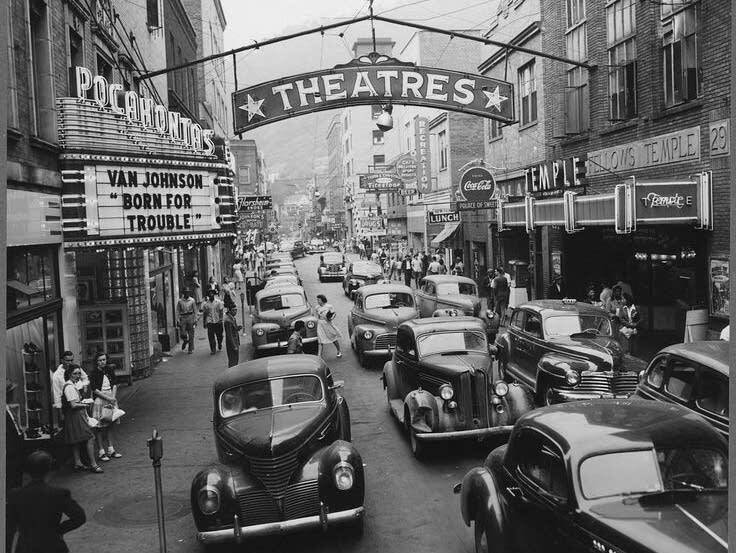 In 1950, there were five times as many people. Welch, the county seat, was referred to by locals as "little New York." "Oh, my goodness, you didn't have to go outside of Welch to buy anything," said Cathy Jack, who was born in McDowell County and has been a teacher there for 35 years. "On Saturdays, the streets were full of people. We had women's stores, men's stores, shoe stores, toy stores. I mean, anything you needed, you never had to leave Welch to get it." Now there's hardly anything left. The school district has a hard time persuading young college graduates with teaching degrees to move here. Tonya White is the county's personnel director. I met her in March at a job fair at Concord University in neighboring Mercer County, about a 90-minute drive from Welch. She had a can of Mountain Dew in one hand and a stack of job applications at the ready. 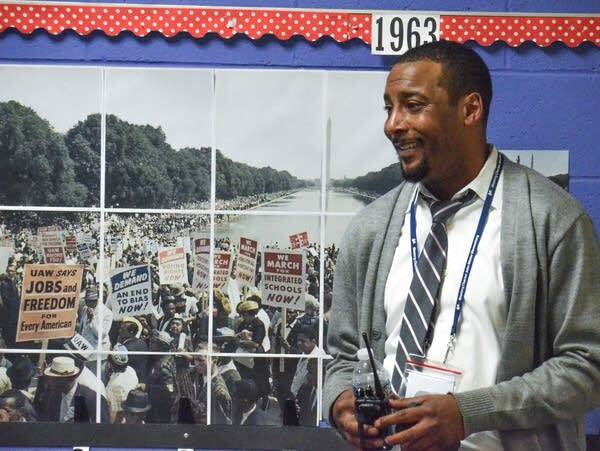 "If the past is any indication, today is going to be many different school systems fighting for the same kids," White said. By "kids," she meant the future college graduates wandering among the recruiters' tables. Two of them stopped to talk with White and her administrative assistant, Renee Jones. They gave Jones their contact information. "You will get emails from me until you ask me not to send them anymore!" said Jones. But when I pulled these two young women aside to ask if they were seriously interested in McDowell County, it turned out they weren't. "More as a last resort kind of thing, I guess," said Amber Shrewsbury. Ideally, she'd like to find a job close to where she grew up, in Raleigh County, West Virginia. "Beggars can't be choosers," her friend, Devin Graham, interjected. "When you're fresh out of college, you really can't be picky." She says she'd consider McDowell for a first job, but eventually she wants to be closer to home, too. Her dream is to work at the elementary school she attended. That's pretty typical. Research shows teachers overwhelmingly choose to teach in school districts near where they grew up. One study found that 61 percent of new teachers taught within 15 miles of their hometown; more than a third took their first job in the school district where they went to high school. The implications of this are sobering for a place like McDowell County where only about 40 percent of high school graduates go on to college. "We have teachers that come here and work in McDowell for maybe a year and then go back to their home counties," said Spencer. "It leads to chaos, that constant moving in and out of educators." Cierra is bitter about the fact that so many teachers come and go. After she graduates from high school, she wants to go to college, study to be a biology teacher, and come back to McDowell County to teach. "I want to make it where students [are] going to learn what they need to learn," she said. "And I'm not going to just ditch my students." Her classmate Brice says he's had some really good teachers in McDowell County, and he has sympathy for those who get stuck teaching a subject they don't know. They do the best they can, he said. But, he added, "Sometimes your best is not enough." He understands why teachers leave. He thinks he'll probably end up leaving McDowell County, too. "I love it here," he said. "But I have to build a foundation for my family. And right now, there's not much to build on." That is the dilemma for so many people there. They want to stay, but they just can't. There aren't enough good jobs there. The coal industry employs less than 20 percent of the population now. There's a hospital and the county government. One teacher I interviewed was a deputy sheriff before becoming a teacher. And there are three prisons. The federal prison, FCI McDowell, opened in 2010 promising 300 jobs. But fewer than one in five employees is a McDowell County resident, according to the Federal Bureau of Prisons. Part of the problem is that many people couldn't pass the drug test. There are also two state prisons. Ann Turley's husband, Briane Turley, works at one of them. Briane has a Ph.D. in religious studies. He's worked as a minister and a college professor. But when the couple moved to McDowell County to be closer to family, he couldn't find work. He was unemployed for more than six months. Today he's the librarian at Stevens Correctional Center. That's one of the things that makes it hard for rural schools to recruit teachers: few employment opportunities for their spouses. But even though being a prison librarian is not something he ever imagined, Briane says he likes his job. Ann, on the other hand, has been feeling frustrated at work. She's been having a lot of discipline issues with one of her fifth-grade classes. "Just the level of disrespect and non-interest. I don't know how to describe them," she said. "Attention starved? And they'll get attention however they can get it?" There are days she feels like quitting. But she says she won't because she and Briane like the life they've built here. They hike. They've made new friends. They want to stay. She's a bit worried, though, that she might not have a job next year. Even though McDowell County is desperate for teachers, every year some of them get laid off. The West Virginia Department of Education uses a formula based on student enrollment to determine how many teaching positions it will fund in each county. Since 2009, the school system — which currently enrolls about 3,200 students — has lost more than 15 percent of its student population. This past school year, the state told McDowell it was over by 15 teaching positions. School systems can come up with their own money to pay for extra teachers, but McDowell is a poor county. It doesn't have much extra money in its budget. So, every year, White, the county personnel director, goes out to the schools where positions are being cut and meets with teachers about to lose their jobs. "That was a scary day," said Hubert Mullins. When we met, he and his wife, Jessica Mullins, were special education teachers at the same elementary school in McDowell County. They both got layoff notices. Her position was cut because of a decline in student enrollment. His job had to be offered to a more senior teacher whose position at another school was being eliminated. West Virginia has strict last-hired, first-fired rules. Even if a teacher is terrific, their job goes to someone higher on the seniority list if there are layoffs. "I was reading one of his favorite books in the break room," said Jessica. It was Alice Sebold's novel The Lovely Bones. The Mullinses are also not sure they could leave McDowell County, for financial reasons. They bought an old house, sunk a lot of money into it, and doubt they could get back what they put in. Housing is one of the big issues for teachers in rural areas. There aren't many rental units, what's available to buy is often run down, and buying a fixer-upper is a risk unless you know you're staying for the long haul. Close to a third of McDowell County teachers don't live in McDowell County. Instead they make lengthy commutes every day from neighboring counties. The Mullinses live in a house built into the side of steep hill. You have to walk up 43 stone steps to get to the front door. When I visited, I was greeted by their cat Oliver. They have several cats, all named after Dickens characters. Their house doesn't look like much from the outside, but after $100,000 of improvements, they've restored much of the original beauty of the early 20th century interior. The Mullinses paid $15,000 for it in 2009 and suspect it was a drug house when they bought it. "When we first moved in, all hours of the night people would knock on the door and we would always say, 'It's closed, new management,'" Hubert said with a laugh. Hubert, at 38, is older than Jessica, 27, and had dropped out of college when they met. She convinced him to go back to school and become a teacher. Their fathers were coal miners. They figured teaching was a sure way to make a steady living here. But now they're facing the prospect that they might have to leave McDowell County. "It's scary because we know this area and that's all we've ever known," said Hubert. "We're small-town, rural people," said Jessica. 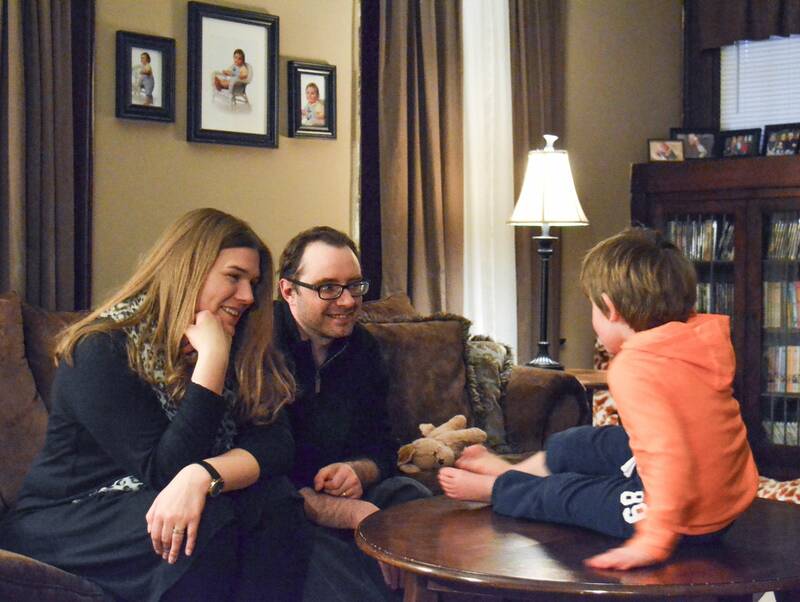 "It would be a huge adjustment for us to just move somewhere where we didn't know everybody." The teacher shortage in rural America is complex. The chaos and uncertainty caused by annual layoffs certainly don't help with recruiting efforts in McDowell County. What can rural districts do? The Learning Policy Institute recently laid out a series of policy recommendations for states and districts struggling with teacher shortages. It includes, for example, increasing salaries and providing housing. The average teacher salary in McDowell County is $48,000 a year. Counties in West Virginia need permission from the legislature to pay teachers more to work in hard-to-staff schools or subject areas. For years, educators — including Spencer — have been pushing lawmakers to act. In 2017, they got their wish. A new state law allows county boards of education to offer one-time financial incentives to attract educators for "critical need and shortage positions." The catch, though, is the law says these financial incentives must be paid from local funds. "I don't know that we would have the funds to do that," said Spencer, just after the law took effect. He's investigating whether he might be able to get some kind of grant or foundation funding. Spencer is not sure pay would solve the problem anyway. When teachers leave, their reasons often have to do with things like moving closer to where they grew up. I heard of young teachers who left because they couldn't find a spouse, and others who left because their husbands lost jobs. Spencer believes what the McDowell County Schools really need is a road: a modern highway in and out of the county. "It would open us up. And it would bring in a better economy. You would have developers in. We would have more people who want to stay," he said. There's renewed hope that something will happen with what's known as the "King Coal Highway," a proposed four-lane highway that would run through McDowell County and better connect it to the rest of the state. There's a new governor who's been talking about the highway. And there's President Trump and his promises to spend money on infrastructure. Voters in this county went big for Donald Trump. He won nearly three quarters of the votes here. The highway needs to be built, said Spencer, "because it's affecting our kids." Even if a new highway doesn't spur economic development, he says, at least it would make it easier for teachers to commute. Some staff who live outside the county quit because of the long drive. And commuting is expensive. One administrator calculated that getting to and from work cost her $7,000 a year. But ultimately, says White, it's the people born and raised in McDowell County who tend to be most invested in the future of the place. That's why she's started a local chapter of Educators Rising, a national organization that tries to sell young people on the idea of teaching while they're still in high school. "If I can't recruit 'em," said White, "I'm hoping to raise 'em." But can counties like McDowell grow enough of their own? McDowell only sends about 80 students to college every year. That's not a very deep pool. And the irony, of course, is that some of those students may not finish college because they weren't well prepared in high school. For the teachers already in McDowell who want to stay, there was good news at the end of the school year. Music teacher Ann Turley did not get laid off. She and Briane just bought a house. And Hubert Mullins got his job back. The teacher who was offered his position decided to take a job in another county. So, the Mullinses are staying in McDowell County, at least for now.